Finnish jewelry artist Anna Rikkinen finds inspiration in the past, present and future. From 17th-18th century Dutch portraiture, her own childhood living in a Finnish village and characteristics of traditional African apparel, her own work reflects elements of the past while finding inspiration for the future in works of Isaac Julien, Kara walker, Louise Bourgeoise, Jean-Etienne Liotard, Yinka Shonibare and Susanne Gottberg. Rikkinen utilizes the human form by creating wearable sculptures that play with shape, materiality, and historical concepts of ornamentation. Coupling traditional jewelry techniques with unexpected materials such as glass, textiles and metal her work questions beauty by exploring shapes, techniques and functions. Her wide range of work has been shown worldwide, not limited to, Ornamentum Gallery, Hudson, NY, Racine Art Museum, Wisconsin, US, Designmuseum, Helsinki, Finland, Gallery Louise Smit, Amsterdam, the Netherlands, Gallery Caroline Van Hoek, Brussels, Belgium, Cheongju International Craft Biennale, South-Korea and Gallery Handwerk, Munich, Germany. Her work has been purchased by private collectors and the Finnish State Art Commission. Anna Rikkinen currently lives and works in Lahti, Finland. She received her training as a jewelry artist at the Gerrit Rietveld Academy in Amsterdam and has maintained a solo practice ever since. 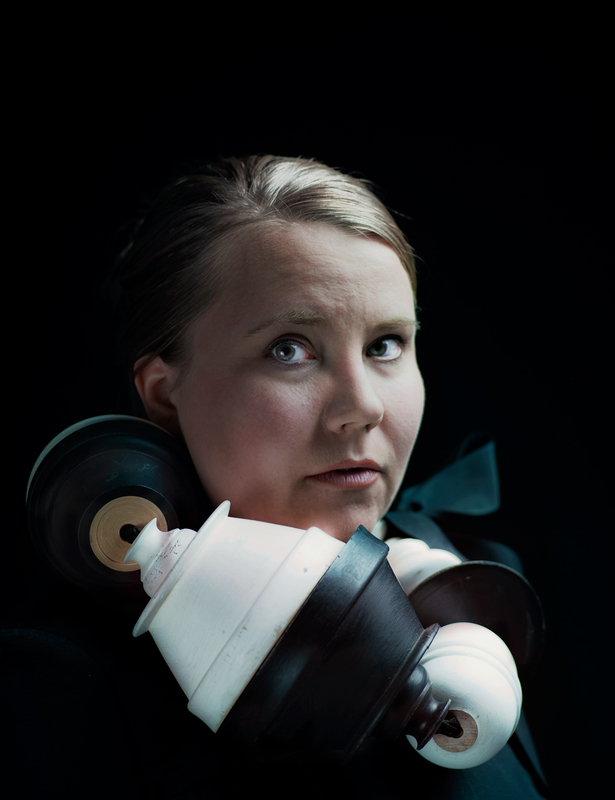 In 2011 she became a specialist in the Finnish Association of Designers Ornamo.